Ralph Breaks the Internet has been trending among Disney fans and those who enjoyed the first movie. On opening weekend, this film made $56,237,634 in comparison to the first Wreck-It-Ralph movie, which made $49,038,712, according to boxofficemojo.com. Both children and adults can appreciate this movie due to the many elements contributed to the storyline. Adults especially would feel nostalgic because of the incorporation of Disney princesses, Star Wars characters, Marvel superheroes and many more components. It was interesting to finally see all three franchises in one movie, now that Disney has the rights to Marvel and Star Wars. The sequel to Wreck-It-Ralph (2012), takes place six years after the first movie. The movie starts with the main character, Vanellope, breaking the steering wheel for arcade game “Sugar Rush”, and faces the threat of her game being “unplugged”. She and Wreck-It-Ralph team up to go inside the internet to find a new steering wheel for the game. 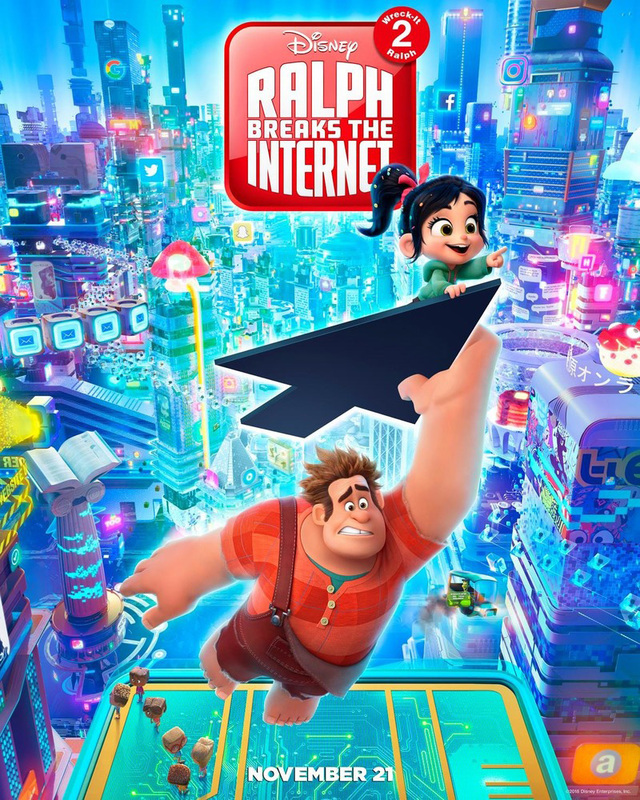 It is debatable if Ralph Breaks the Internet was better than Wreck-It-Ralph, but this is a movie people will not forget. While the first movie had more of an idea people found unique (Ralph, an arcade game character no longer wanting to be known as a “bad guy”), this movie used some of the same elements; the arcade game setting, as well as incorporating new ones; well known internet apps. However, at times, too many things happened at once and not everything had to do with the main point of the story. It took away from the main goal of the movie. Ralph Breaks the Internet has brought many new memories for those who enjoyed the first film, but it did not exceed the first movie.